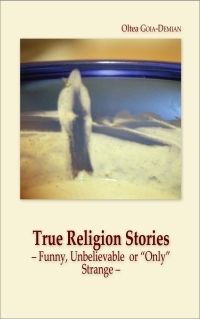 This edition contains 14 true stories related to religion. Partly you have (maybe) read them under the Religion Stories category on this site. Partly are yet unpublished. I have set the price to $3, practically the minimum amazon allowed me, in order to make the book as affordable as possible to anybody who wants it. I do believe its content is worth spreading! For reasons I gave up to understand but have to do with your location, this e-book is up to $6.2 in different countries. I feel very frustrated not being able to change this. Before purchasing, check several of them. You might get my original $3 price and not the swollen one. I am working on the Romanian, French, and German editions. If all works well they will be released during 2014. If you are an English-native speaker and are interested in this book, and want to pay for it by helping me improve its language in some stories, please contact me for details. One of the three or four times in my life when I was envious was related to writing. My first Literature teacher Dumitru Pele, RIP, praised once Tudor, a colleague of mine, for a homework text he had written. I remember him so well saying "Beautiful, Tudor, you have already your own style..."
How I wished he would say that to me...!! To me too, or to me instead, whichever, but to me! Fast-forward to 2013. 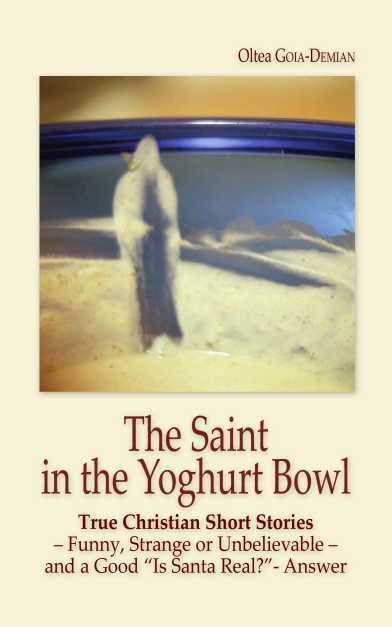 I have started this site on October 26th, a St. Dumitru´s Day. It´s not by accident I mention this date here, I have a whole story about this St. Dumitru Day. A story full of coincidences you might not believe. I like it that my Romanian Literature teacher was also born under this Saint´s sign.